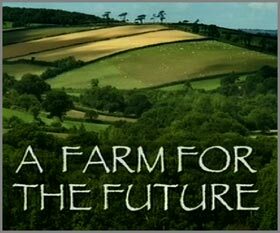 By following the link that Rhonda provided on Down to Earth's Weekend Reading, I found the following documentary - Farm For The Future. 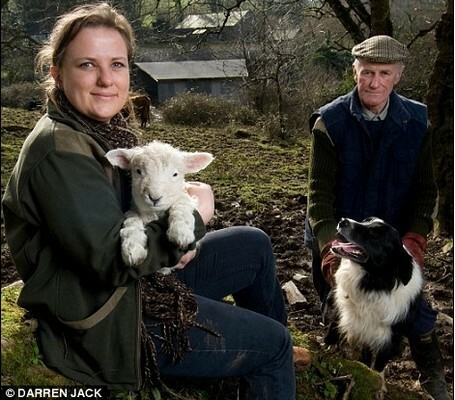 Wildlife film maker Rebecca Hosking investigates how to transform her family’s farm in Devon into a low energy farm for the future, and discovers that nature holds the key. Though the predictions about peak oil and the possible future with this declining resource upon which we rely heavily are grim, I also found it encouraging that if we start now to think of ways to deal with this situation in our own lives we have a chance to create a means of not only feeding our family but also to teach the next generation valuable skills that without action by ourselves they might not learn. If we think its going to be tough for us in the next few years, then how hard is it going to be for them 10, 20, 30 years from now. You are once again absolutely spot on the money. If we don't actively learn now we won't have the chance to learn from the last few remaining living memories and our children and grandchildren will have to learn the hard way. My mum spent the first 6 years of her life on a farm, with horse and cart, her mother ironed by heating an iron in the fire, basically, the old fashioned way of living. I'm sure they had some tractors but given that the family farm had been in the family for some years they would have had Edwardian and probably Victorian era machinery. My grandfather for example, lost the end of his finger in a wrangle. Most people nowadays wouldn't even know what a wrangle was or just how important it was to the women of the house. My grandfather passed away some years ago but I do remember some of the stories. My grandmother was an avid bottler with Fowlers Vacola unit. Sadly it was sold or given away before I was interested in any of "this stuff" but had she still her mind I would pick her brains for advice on that and many other aspects of life in "the olden days". There are few remaining now who would remember Edwardian times well enough to share the how to's of the era. There's precious few who can share their memories of before World War II and it was only then that mechanisation hit the big time. Acting now is the only answer and our only chance. Oh I saw that show - it was awesome! Made you want to go right out and buy a farm!